Historical Windows was contracted to furnish and install 5 new windows incorporating the preservation of the existing leaded glass windows in accordance with the NYC Landmarks Preservation Commission requirements. Marvin Windows were customized to accommodate the leaded glass panels without altering the original size and configuration. Dimensions of the stiles and rails were modified to match the existing daylight opening. We collaborated with our leaded glass specialist to ensure the proper restoration of the glass. 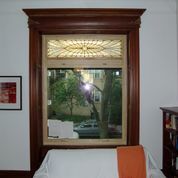 New windows were installed incorporating the restored leaded glass with original interior woodwork preserved throughout. 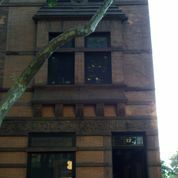 All profiles were approved by the NYC Landmarks Preservation Commission.